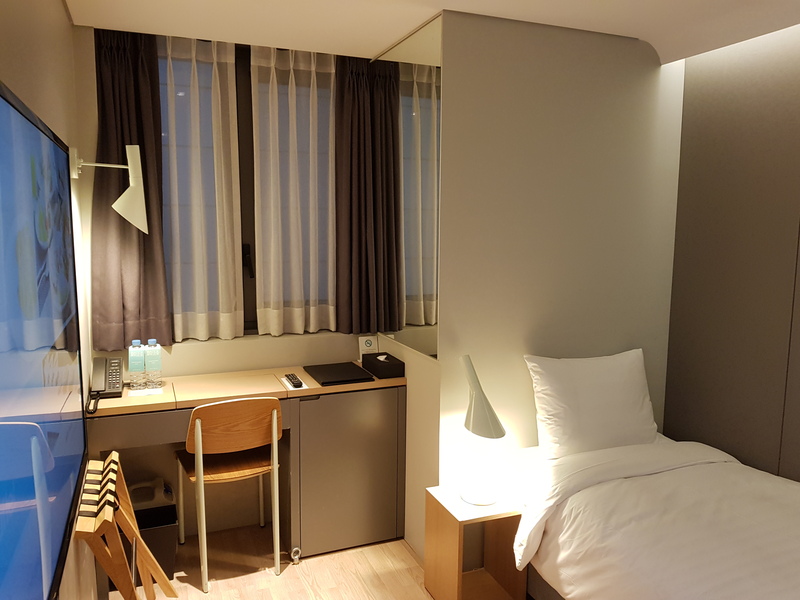 Having had a good experience with Hotel Peyto Gangnam earlier this year, I decided to visit its sibling, the Hotel Peyto Samseong for my recent stay in Korea. 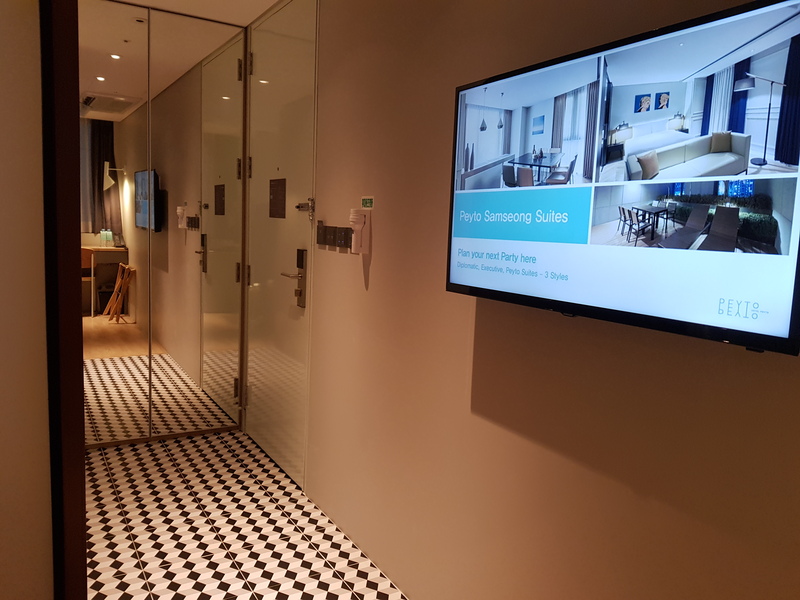 This time around I stayed in a Superior Single room since it was for one night only and I would be switching hotels the following day to the InterContinental Seoul COEX for my SMTOWN Travel Global Package stay. Space is most definitely prime estate for Hotel Peyto Samseong, but I quite liked how the designer managed to make the most of the tiny space. There was even a thoughtfully provided luggage stand – a boon for when I needed to open up my luggage. Tall people might find the bed space rather enclosed but luckily it did not feel claustrophobic to me. Maybe that was because I also kept the bedside light on through the night. 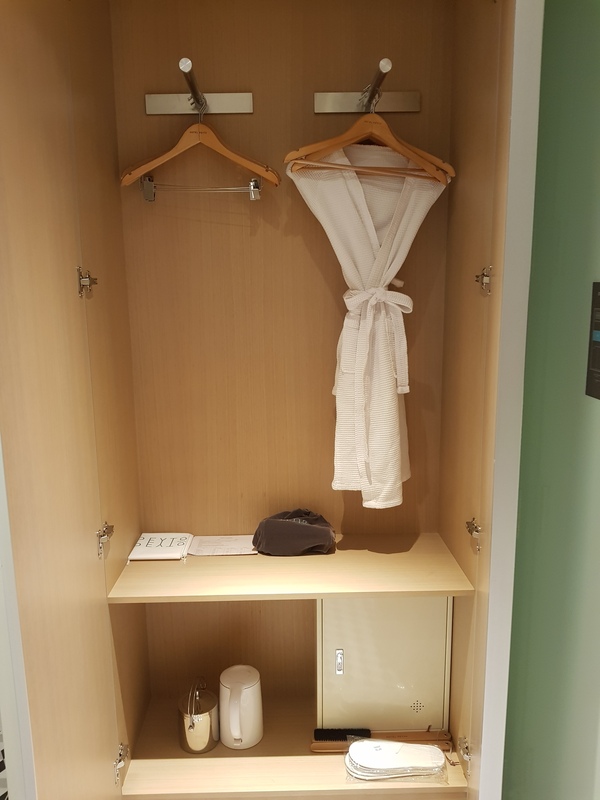 What surprised me was that Hotel Peyto Samseong had a proper wardrobe, compared to the unique but squeezy sliding door wardrobe fake out that was in Hotel Peyto Gangnam. 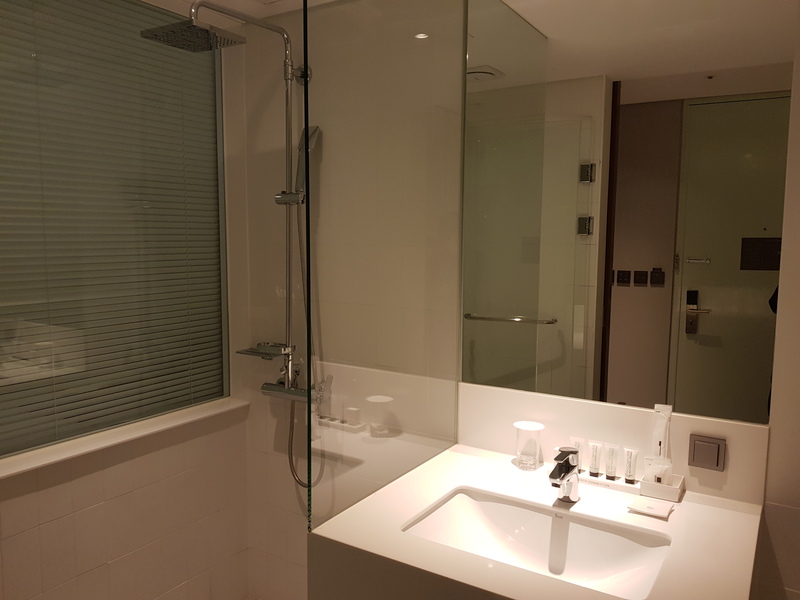 There was also more space in the bathroom at Hotel Peyto Samseong compared to Hotel Peyto Gangnam. The French Connection branded toiletries are also a favourite of mine thanks to the Jo Malone collaboration fragrance. 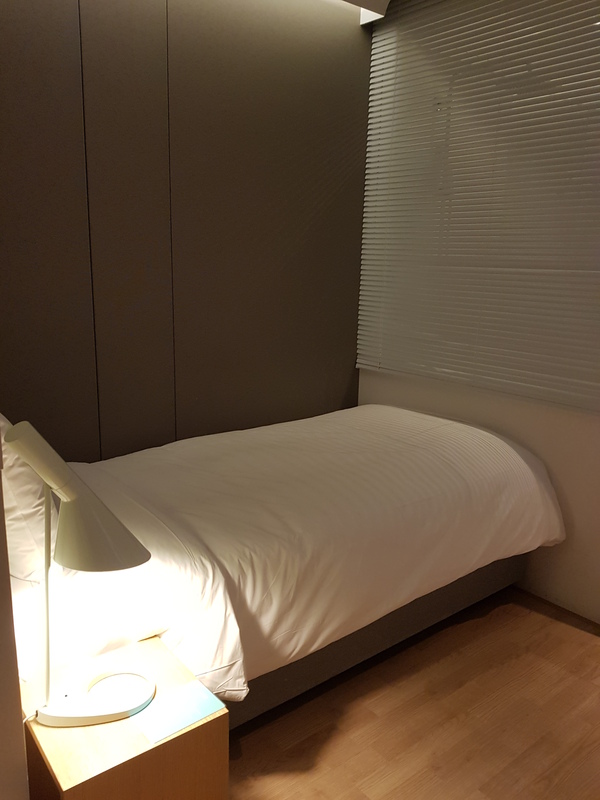 If you need a place to stay that’s within walking distance of COEX, then Hotel Peyto Samseong is very well located. I do prefer Peyto Samseong’s location over Peyto Gangnam. Unfortunately the location also reflects the price, which is a couple of dollars difference and a whole lot of difference in terms of room by the square meter. Just take note though that the airport bus does not stop at the hotel proper but you can drop off at either the Grand Parnas InterContinental or at the City Airport stop. I would be happy to return to the Hotel Peyto chain for future stays when in Korea as it has everything I need as a base station and would likely pick it over the ibis Hotels brand.